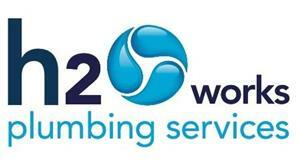 H2OWorks - Bathrooms, Central Heating Engineer, Plumber based in Wooburn Green, Buckinghamshire. Welcome to h2oworks plumbing services Checkatrade page. I am based in Wooburn Green and cover Berkshire & Buckinghamshire. With 12 years working in this industry I have gained lots of experience and different skills along the way. Whether it be installing plumbing in a new build house, fixing a leaking tap, or creating the perfect bathroom you have always wanted, I pride myself on the delivery of high standard workmanship, attention to detail and customer service. To help things run smoothly with your project, whether it be large or small, I can project manage from start to finish and I have trusted partners in all trades including electricians, gas engineers, carpenters, tilers and plasterers as well as specialists in water quality and energy efficiency.